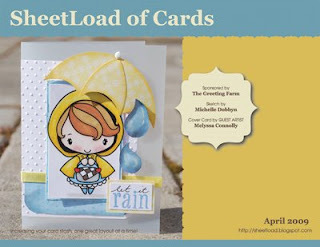 Amy's Creative Pursuits: Shout Out to Sheetload! Thanks for the info. Looks cute. First chance, I really need to check his out!! You can email me at sheetload@comcast.net to find out how to redeem your gift certificate. Please make sure to put "April Shout Out" in the subject line.